blender 3D is the best!!! +Denis Keman No dude. I agree with Michal. Blender is not just a great program but truly efficient, innovative, stable and dependable. It's tools are very reliable. I'm not hating on the others. I love using Maya and Max at work and Blender at home. Over the last couple of years, I've seen Max and Maya borrow many of the features that were first seen in Blender. Again, I have no issue with this. It's great that artists have multiple programs to choose from. Blender itself is heavily inspired by 3DS Max. +duplivert We are both on the same page then. I for one can't understand the Max VS Maya fight clubs as i do like them both. I started with Max so naturally it is my go to program as i feel the most comfort using it, but when i started dabbling a bit with rigging i tried Blender and Maya and they were both interesting and fun, and the only reason why i decided to go with Maya was the fact that many more studios are looking for Maya rigs vs the Blender rigs. In any case i would love to get a bit more experience with Blender under the belt when i get some free time as knowing more softwares opens up the door to a much better choice of tools for a given task. +Denis Keman Blender does have great rigging and animation features, can even export to game engines perfectly but I can't vouch for it's interoperability. On the modeling side of content creation, do explore Blender more. It is outstanding! Nice to see autodesk finally putting some work into unwrapping, though the way that head unpeeled was terrible. A ton of blue on one side and red on the other. Looks like I'll be continuing to use zbrush or some other programs or techniques for a majority of my unwrapping. Thanks for making the vid though. Very informative. +Denis Keman Hey, guy. Nice video 🙂 Have you tried the new Symmetry selection tool of unwrap modifier, it could help you create your seams on both side in the same time. In the video, I think you didn't create the same seams on both side which I guess is the reason the distortion is different between left and right side. +Chengqing Zhou In all honesty i was really kinda pissed at the time when i was recording the video as it did crash on me 4 times while recording it. So you can understand my choice to leave it as it was for the duration of the video. Like i noted in the post and in the video the current build is rather clunky and buggy and likes to crash quite a bit. PS: In case you didn't notice, u can hold ctrl/shift key while using the new uv movement/relax brush, it will adjust the strength/falloff while moving the mouse. Also holding Alt when using movement brush will temporarily switch to relax brush. Great video! Just one question, I usually just use pelt map but I am not sure when to use auto peel? +Peng Huang Auto peel will be cool to be used when they get it to be a bit more stable, and the reason why it would be helpful is because you can see how your UV Islands look in real time. The best unwrapping plugin For 3ds max I've seen is Textools even if its old and its free. +hanzo baraka Can't say anything against Textools as it's a trully amazing tool if you are doing your UV's in Max, but i honestly prefer doing them in 3D Coat and then doing the rearanging in Max. +Martin Wardle Look at the software packages as tools for work. Max can be a ball pin hammer and C4D can be a claw hammer. That means you can do pretty much the same thing with both of them, but in certain scenarios one might be better then the other one for one thing or worse for another. So go ahead and choose the one you are most comfortable working with. hey guys who know how make shader like this ? You are the most boring narator I've ever heard. Don't get me wrong, I appreciate what you do for community, but the way you present all of this make me fall asleep every time I watch it. Peace out! +Claudiu Hanga Oh man you made me laugh 🙂 In any case to each his own i guess. I do try to keep my videos clean and presentable or something that you would hear in a classroom so if that is what you call boring then this channel might not be fun to you. +newsonomamashine Naah actually i don't mind comments like that, they do tell me how different people think about the way i teach and in turn i get a better idea of what people want to see. If everyone was only telling me that everything is fine and great then i'm either perfect or simply stroking my ego which is not really helping me improve. So in a way even when someone leaves me a critic i can take away a lesson. I understand man, constructive criticism is important, but some people just complain and i find it annoying, mostly in this case which at least for me, was unjustified. We all apreciate your open mind and will to teach, great work, keep it up! Just a note that would probably cut the video in half: there's an option for symmetrical selection. So you could be symmetrically cutting the islands. It's inside the "Selection::Select by:" rollout group. Also, like the other brush tools in Max, you can hold Ctrl+Shift and left click drag to change the Move brush's size. +VFX Ltd™ I'm still mostly rolling with 2014 for most of my projects and 2016 for some, but i guess it will be a while before i jump the ship for 2017 as my primary version. I'm curious how much better this is then programs like Roadkill which has similar functionality. +Dessert Monkey I've never actually used Roadkill and your comment made me google it for the very first time 🙂 In any case it is an unwraper that does just that it unwraps so if i would have to bet i would go with the option that it might be better then what Max is offering. Usually when you have a specialized program it tends to be better at what is specializing then what a whole package has to offer. +Robert Ramsay That kinda contradicts what i usually say about sharing the love 🙂 Plus every dollar in the pocket of the guys making 3D coat means more cash into development. Autodesk project managers should download Modo(at least) and learn something about selections. It's not that hard, copying is no shame but rather an industry standard in any industry. I maybe mistaken but Max is probably crashing because of the scale of your model………it looks enormous compared to the grid! lol nothing seems "auto" about this at all. Yeah I am searching for an auto unwrapper and came across this. I was hoping Max had something more automatic by now. Every Autodesk product is free as long as you choose the educational license. thank you, really excellent tuts in every respect. how do u stop peel mode from peeling EVERYTHING ? i just want to peel a part of my model but it throws everything into the uv box peeled. 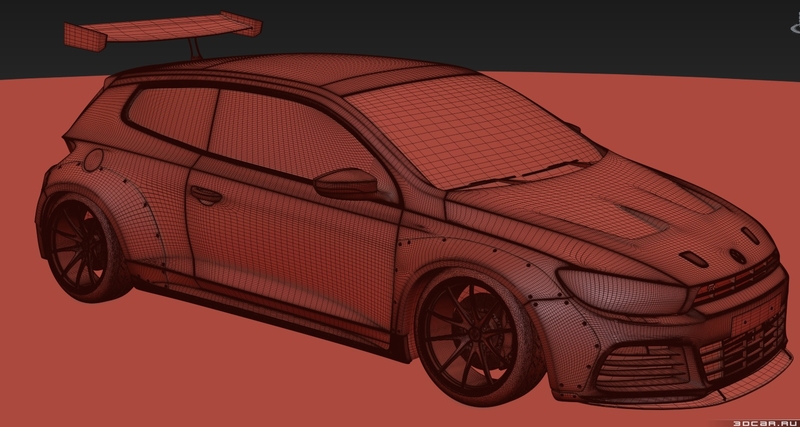 i think there is no way of making it work on selected polygons other than : selecting the desired polygons in edit poly modifier than placing a n unwrap ontop of it while the polys are still selected but that would be practical if you want to continue working on the model. You could have used the mirror mode for the arms / nose / sleeve etc as your topology is symmetric would have improved your workflow a lot. Other than that thanks for the easy going video. Hm, not bad. The issue that I have with peeling (I come from Softimage) is that it distorts your UV's really badly in places where it shouldn't. finally, I don't need UVLayout anymore! I found it extremely tedious and takes so much time to unwrap using the original method, I find it absurd that my college lecturers are teaching me outdated methods, thank you so much !!! i've given lectures at different Universities and Colleges and i can tell you for a fact that some of the people teaching there don't even like 3d in general. They are there to get a paycheck, so they won't mind even if they are teaching you stuff from 2001 if they can cover their classes.